Raining again all day, so I went to Glasgow instead. 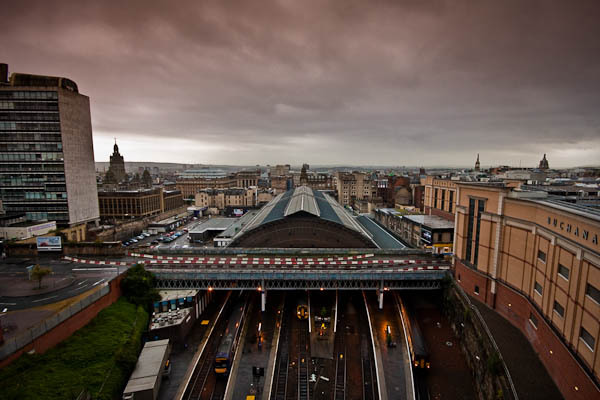 This is the view from the roof of the Buchanan Galleries car park. They have surrounded the roof with a high screen so that you need to use “live view” and hold the camera above the screen. I haven’t seen a nice sunset here for a month at least! Nice shot. I can’t remember when there was a day that it didn’t rain at some point. Miserable.